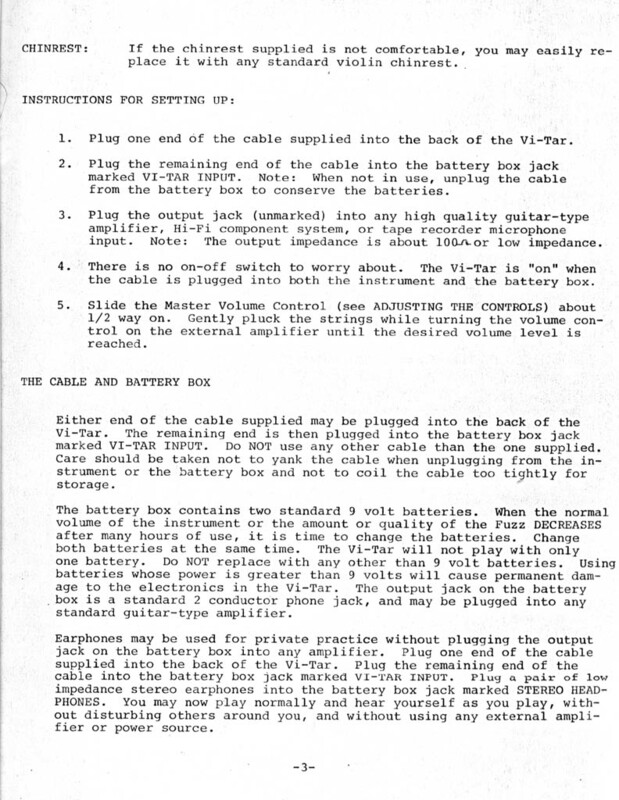 If you’re in need of a replacement cable or battery pack for your Vitar, you most likely won’t be able to run down to your local music store and pick one up (If you EVER find a local store with any Vi-tar parts, LET ME KNOW!). 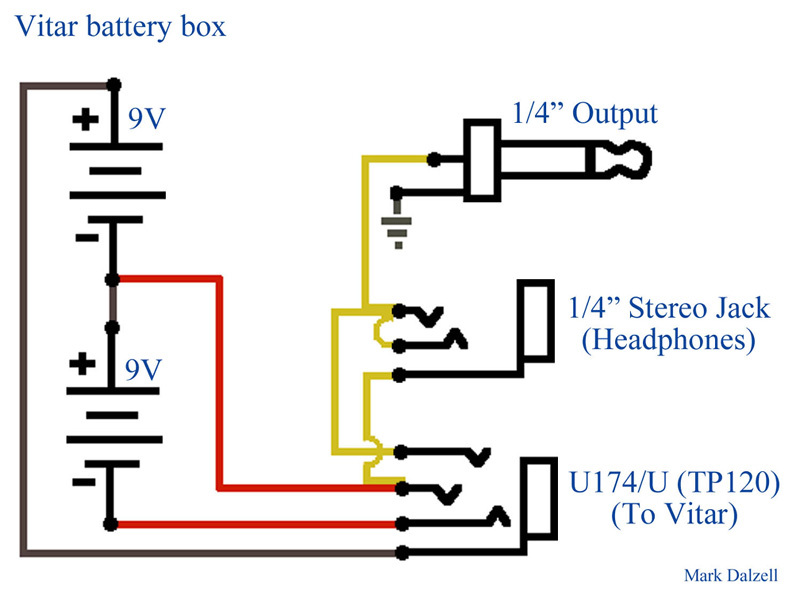 I’ve cobbled together a quick schematic for the battery box… it’s pretty simple once you get the wacky avionic plugs. 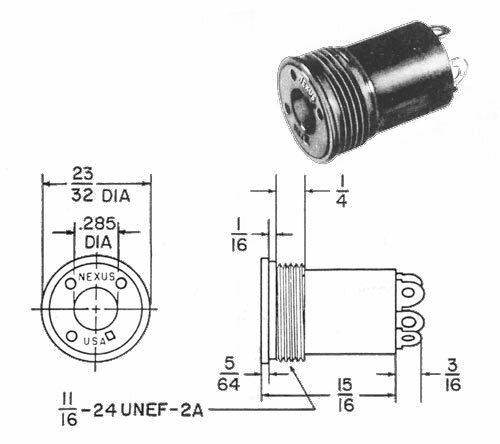 The 4-conductor plug they used is a pretty uncommon one used almost exclusively for helicopter microphone headsets. It’s made by Nexus and the model is U174/U (or TP120). They’re available for about $15US-$30US from various distributors. The cheapest I’ve seen is $14US from ProCommRadios.com. 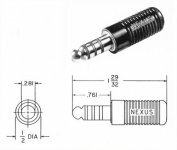 The jack is a Nexus U92B/U (TJT120) and is available for $13 at Keenzo.com. 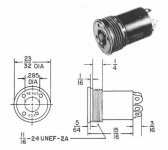 The jack seems to be priced by itself at most places, so make sure you also get the retaining nut and star washer when you order. If you search around a bit in your part of the world you should be able to find them. It actually looks like the plugs and jacks are both easier to find in the UK than in the US. 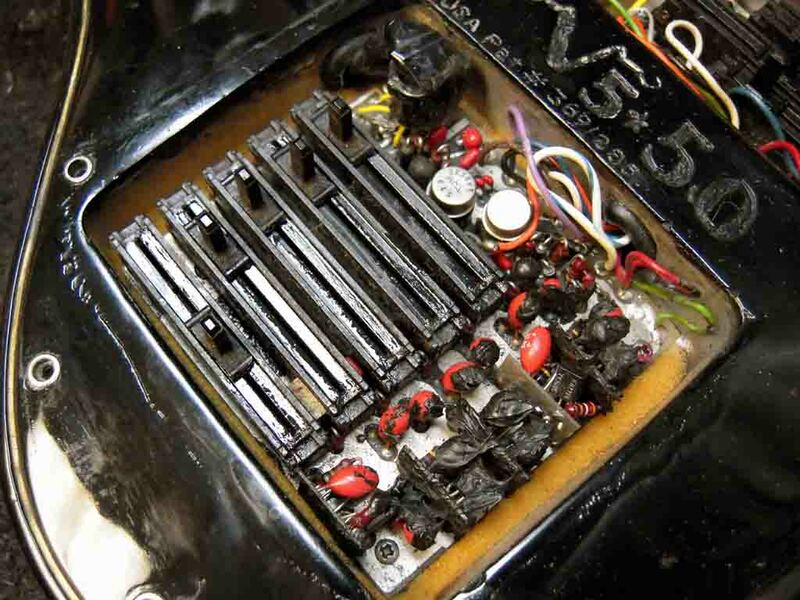 Mietek Glinkowski modified his Vitar so that instead of the 1/4″ output coming straight out of the battery box, he has a double cable coming out of the Vitar – one to an 18V battery box and the second plugged straight into his amp. 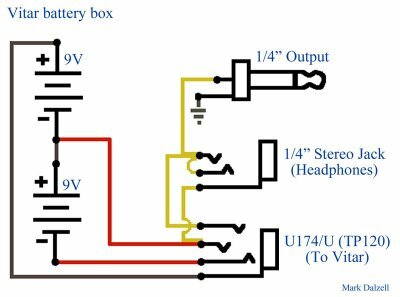 That way you don’t have the big clunky battery box hanging out of your amp or pedal bending the jacks. 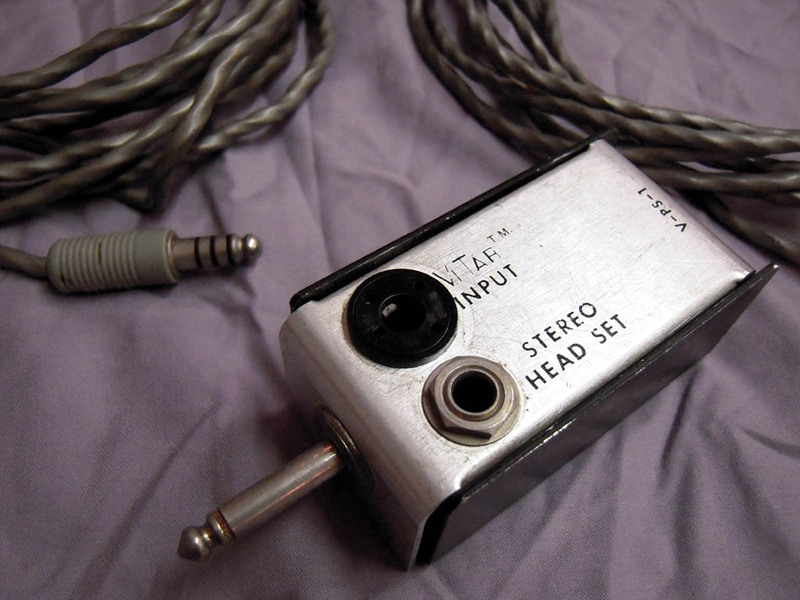 You could also replace the 1/4″ male plug on the battery box with a 1/4″ female and then just stick in in your pedal board like a pedal, or add a jack on the side to run it from an adapter to save on batteries. 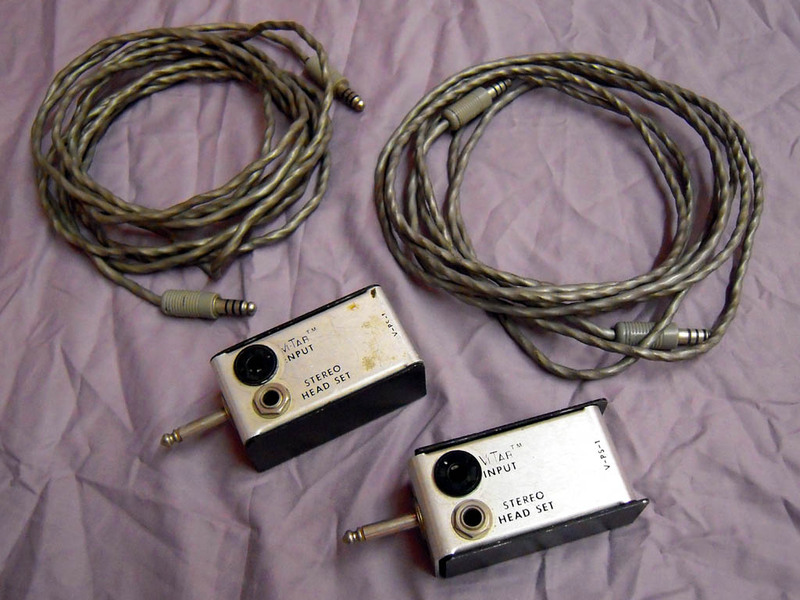 The output on my Vitar was so low that it was actually equal to the hum of the electronics, making it very difficult to play quietly. I finally realized that the pickups are in the last 1/2″ of the fingerboard and that the problem was that my bridge was too high. 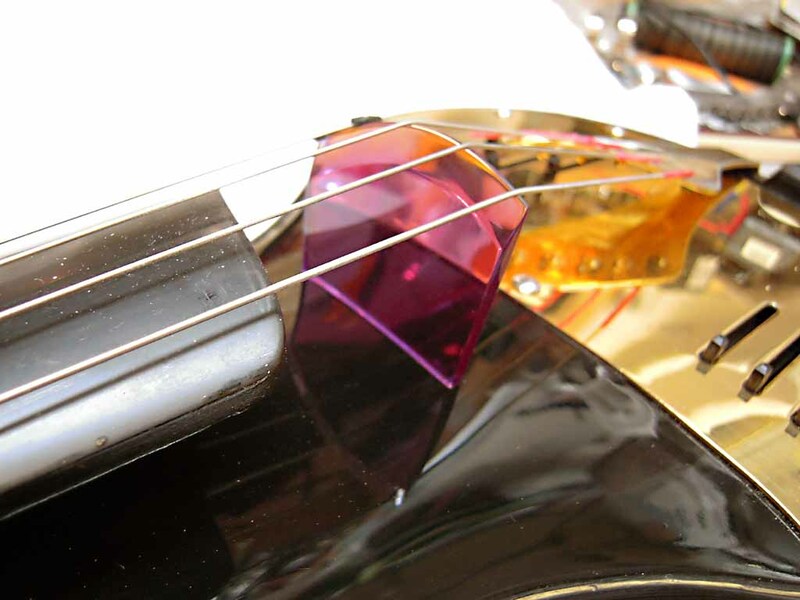 I have a neat smoked gray one and didn’t want to modify it, so I dug through my scrap and managed to find a sheet of 1/8″ Acrylite FF plexiglass… I had some clear plexi but why would I use that when I also had purple? 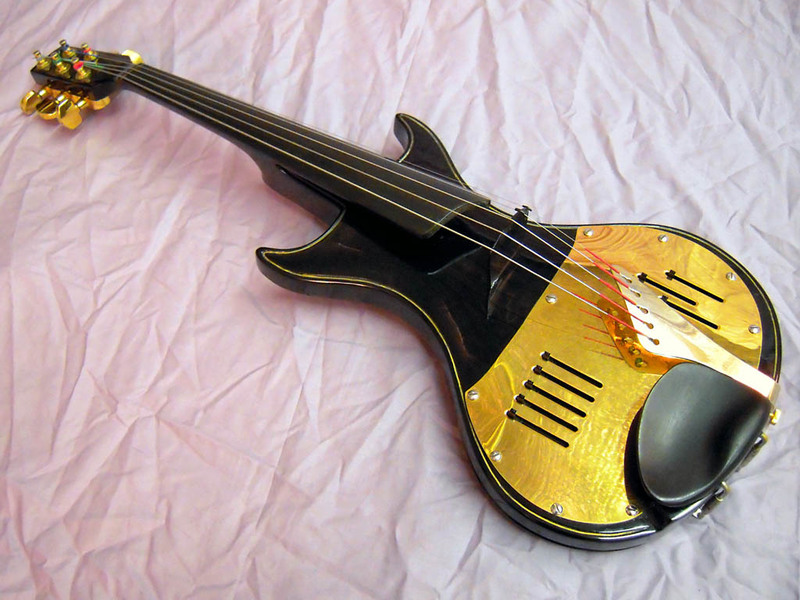 Cut, sand, flame polish, buff… bang! 10x louder output! Update – 12/3/09 – I put my original bridge back on but moved it way down to make it a 13″ scale length. The string heights are all good now with good output and a seemingly better tone (to this violists ear anyway). 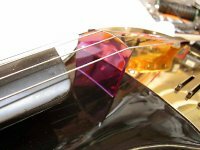 The new bridge idea is still valid if you want to go for a shorter scale length to match an existing violin or to change up the tone a bit. 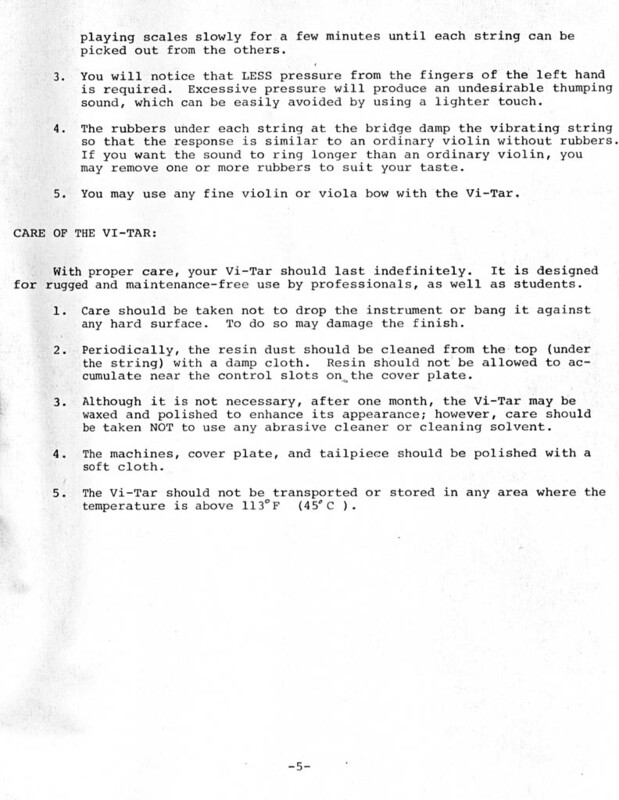 Well after a bit of digging I managed to find the original patent for the Vitar. The eventual production model has a very similar shape and a lot of the design elements, but also differs in some respects. 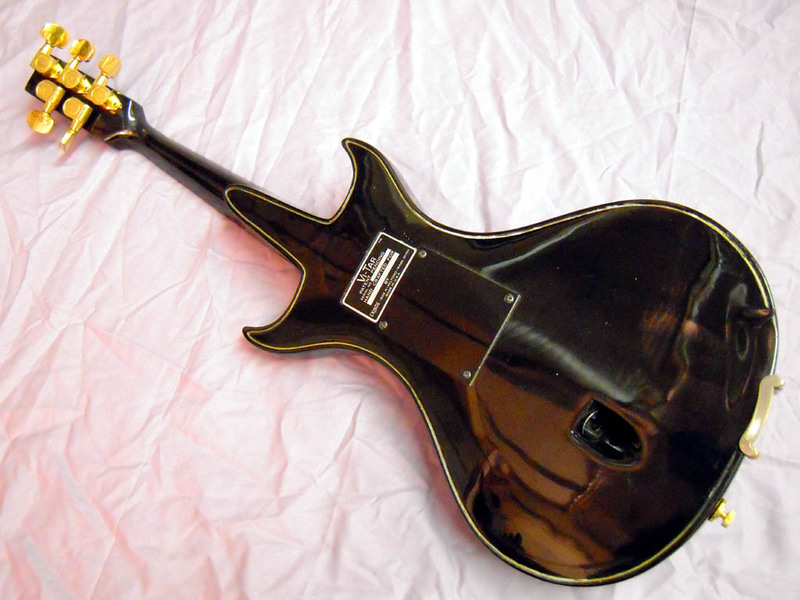 The angled neck, separate volume controls and molded body were all listed as unique claims to the instrument and were carried over into the production model. 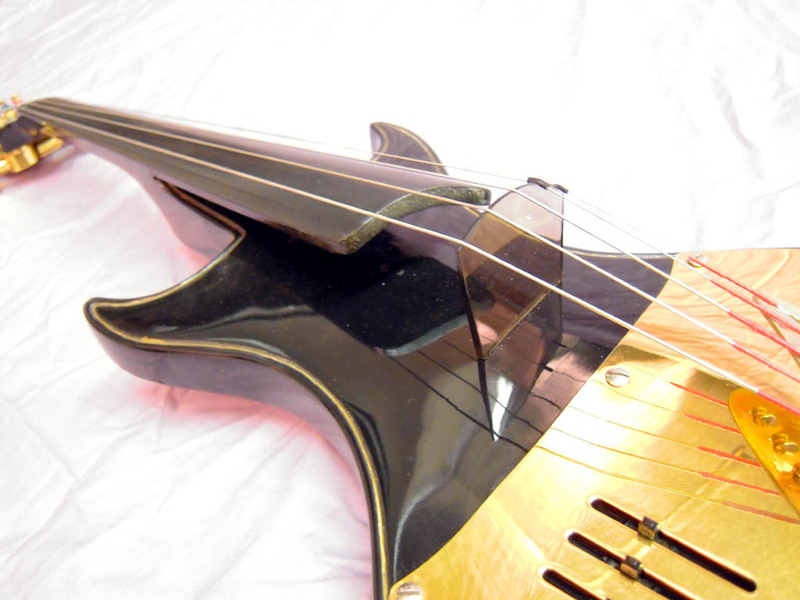 The angled neck was added for player comfort and as far as I’ve ever seen, the first time it was done. 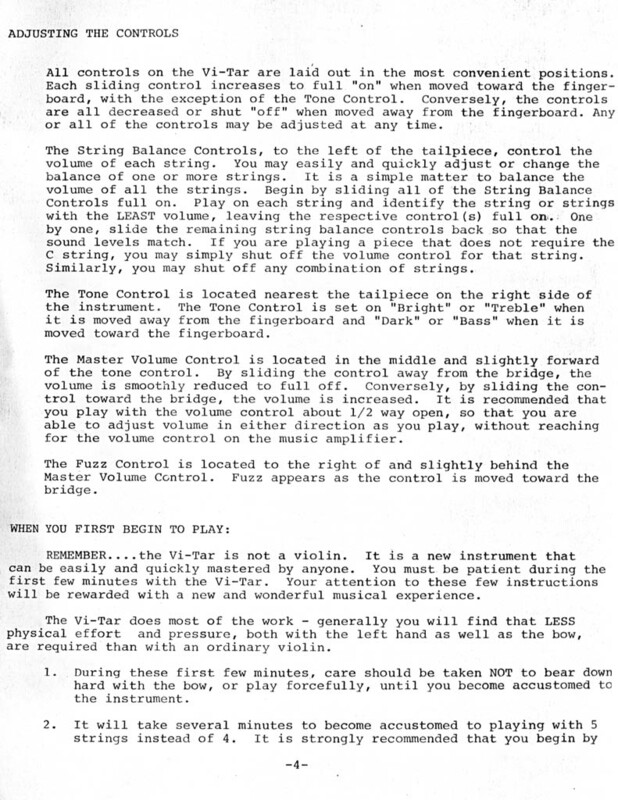 The most famous use of it nowadays is the Lace Helix guitar, the patent for which does refer back to Larrison’s Vitar patent, but also goes all the way back to patent #554,828 from 1896 for an angled mandolin neck. Interestingly, the Vitar patent doesn’t refer to it. 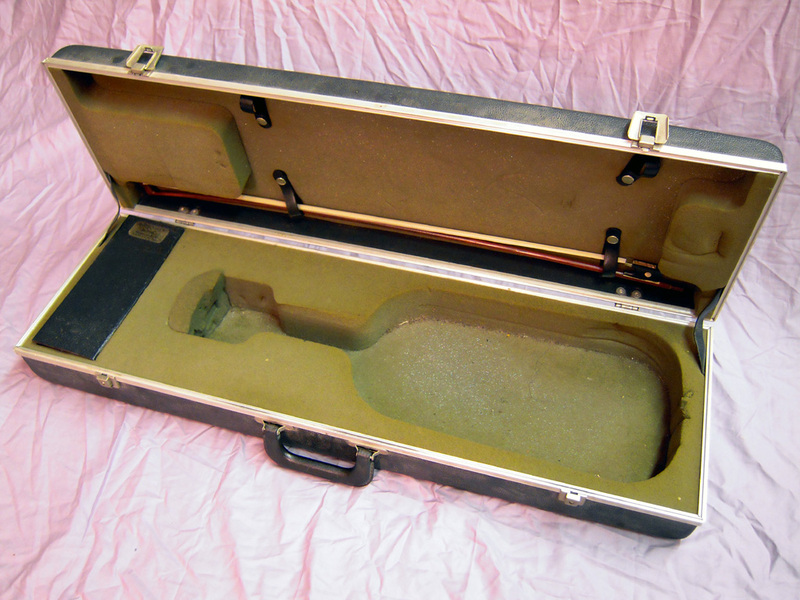 The reasoning for the molded body it claims was that it could be “manufactured easily, quickly and yet accurately, and which is less delicate than known acoustic resonant chamber instruments”. It could definitely be manufactured more quickly and consistently, and I wouldn’t be surprised if I could hammer a nail in with the thing if I were ever stuck on a desert island with a Vitar, a box of nails and a stack of lumber. The separate volume controls are a nice touch. I find the output on my Vitar is fairly low though, so I just crank them all to 10, and have the high E rolled back slightly. If I don’t run them on full I get a lot of noise and hum. Not sure if something’s wrong with mine or they are just generally have low output. 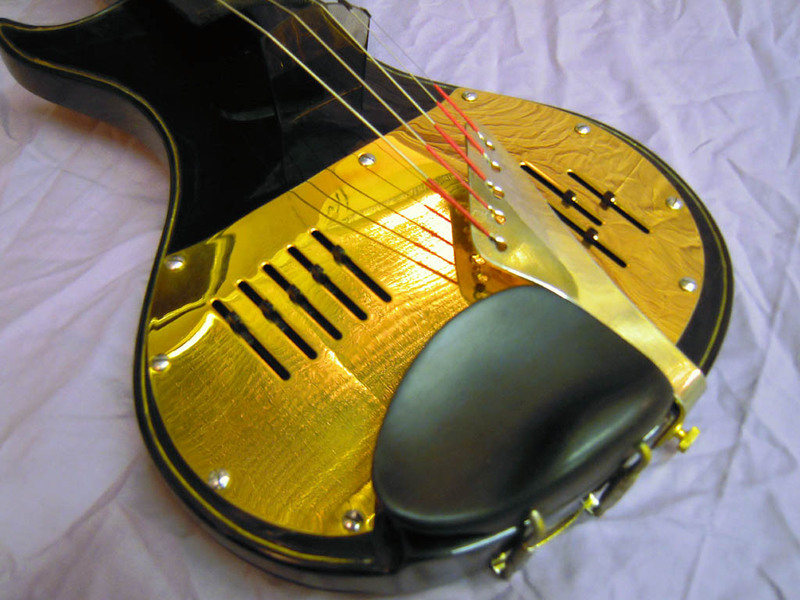 The pickups built into the fingerboard are also a unique feature. 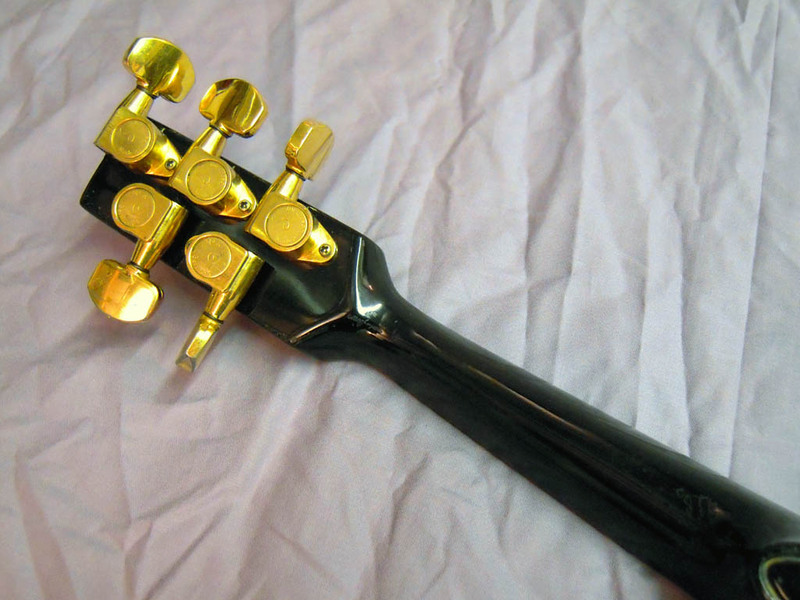 I’ve seen it done that way on some older acoustic guitars, but never on any other instruments. 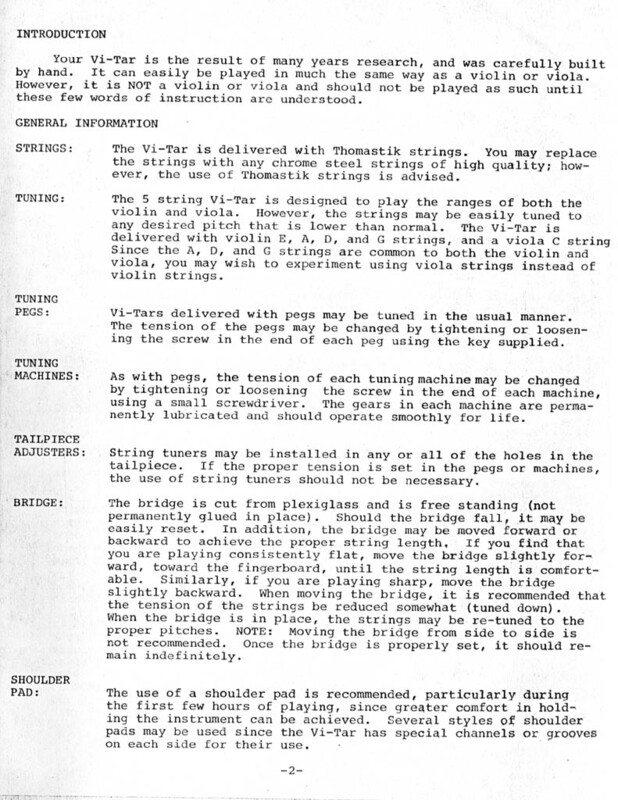 Providing a separate volume control for each string is a great idea, but putting them in the fingerboard introduces a few problems, mainly in getting the string height just right. 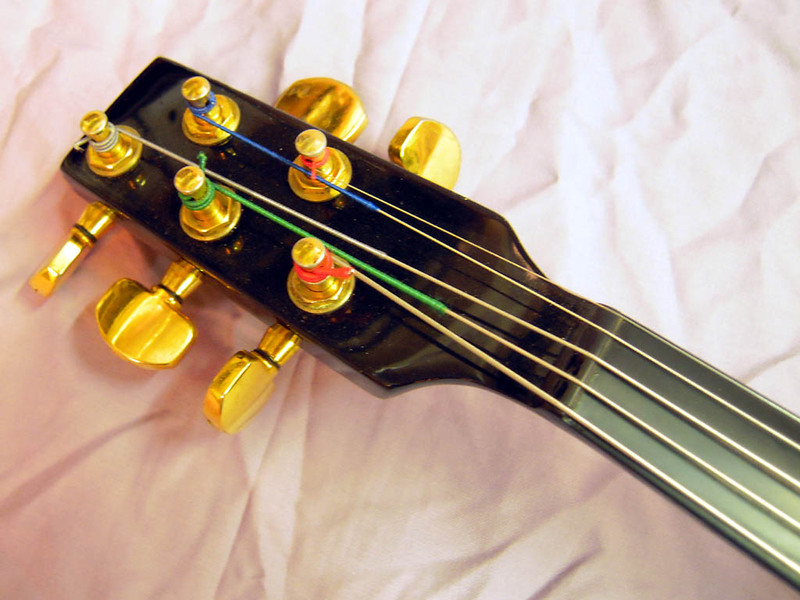 As you play further up the fingerboard, the string gets closer and the volume goes up. Also, on my Vitar the bridge was cut so high that I had very low output and had to make a new bridge to get it as low as possible. 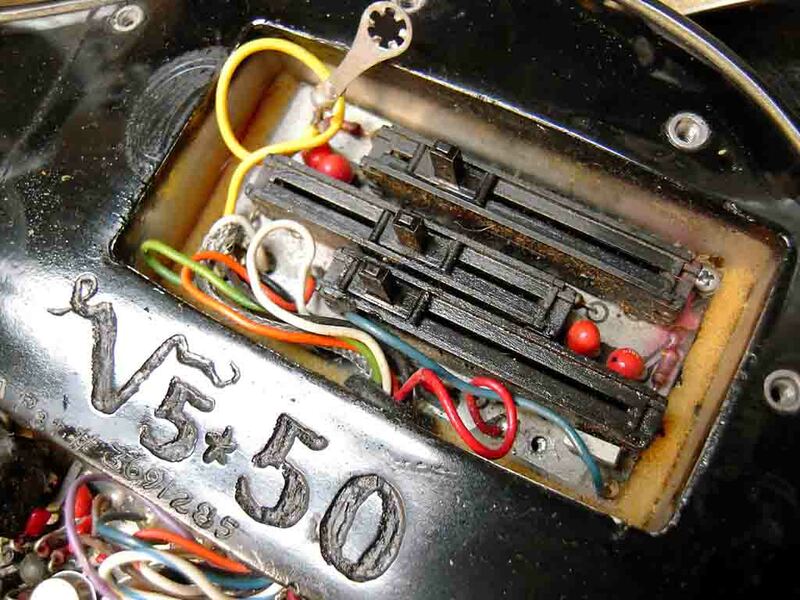 I think a design like Zeta or Barbera uses with the individual pickups in the bridge makes it easier to set up. 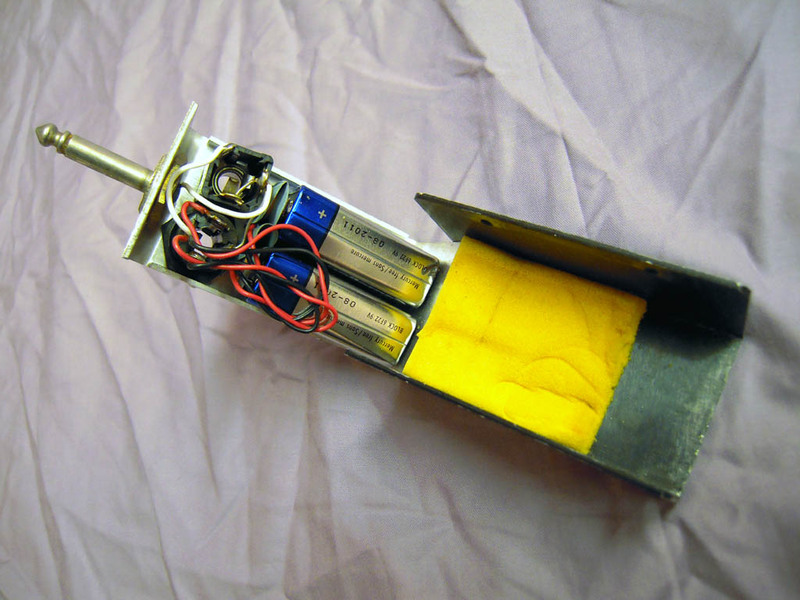 The patent suggests “One or more cavities … for containing batteries …”. I do wish this had been carried through. 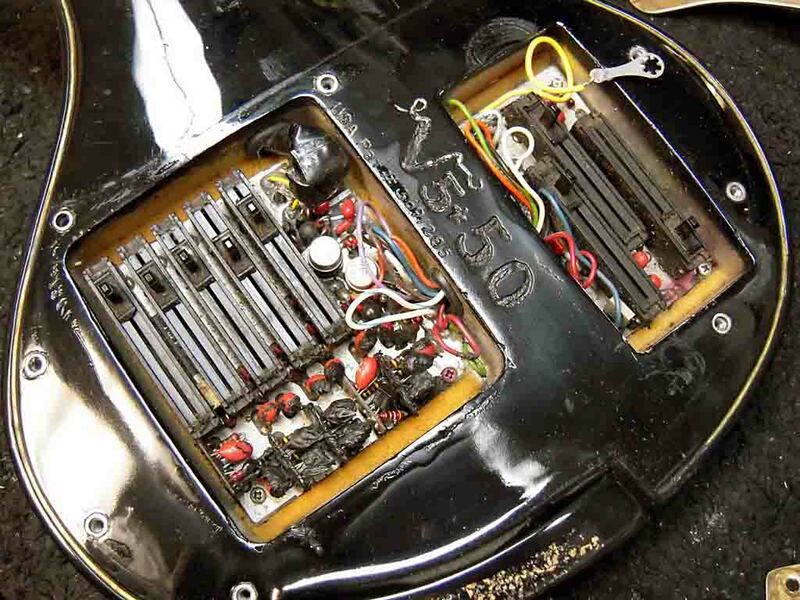 I can only assume the batteries were moved outside the instrument to try and save some weight, but the clunky battery box and oddball cable seem like they cause more problems than an extra few ounces of battery. At any rate, it’s neat to see the original patent and a glimpse into the thought process that went into the design. Enjoy! 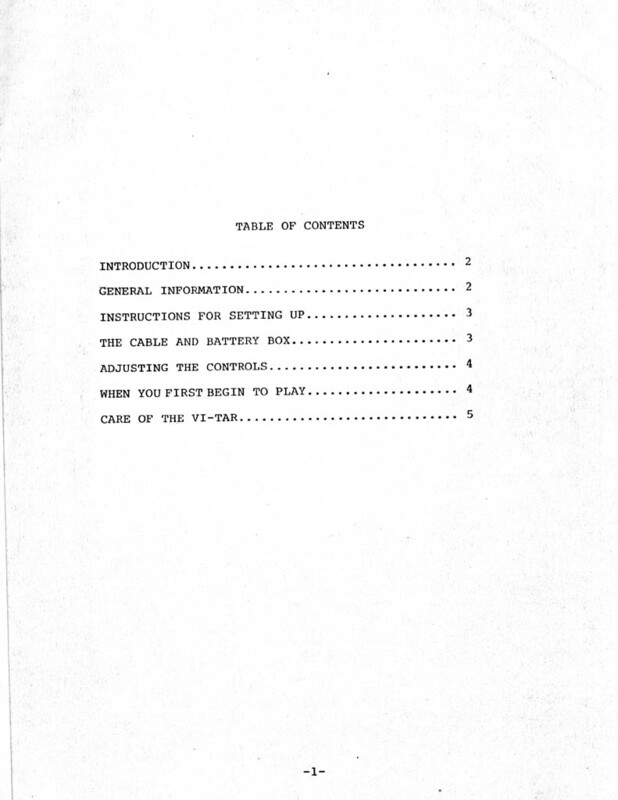 Here’s my copy of the Vitar manual. 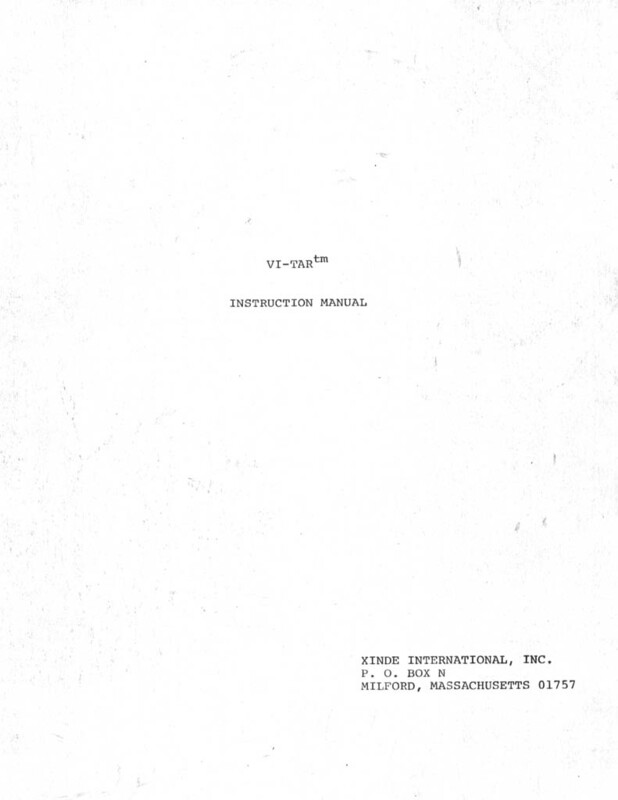 I don’t know if there were any changes between the Exinde and Xinde model or manual… if yours is different let me know! 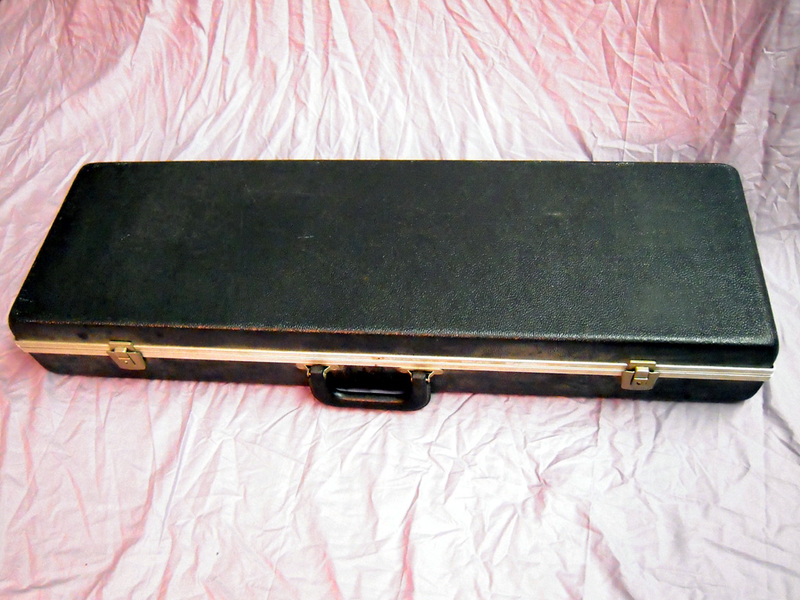 I purchased a Vitar violin while working at a music store in NYC in 2000. I’m an instrument builder, and this thing was just so damn strange that I had to have it. One day one of my regular customers came in as I was playing with it and got all excited. He insisted on trying it out and then told me that he originally owned this violin, that it was stolen out of his lawyer’s office in 1977 and that its name was Nefertiti. Turns out this eccentric old guy was none other than John “Ellington” Blair. I took it all with a grain of salt because even though he was a great violinist, he also wore a chrome skateboard helmet and kneepads even though he took the subway to see me. Anyways, here it is 10 years later and there is really no information on the web about Vitars… not even a clear picture of one. 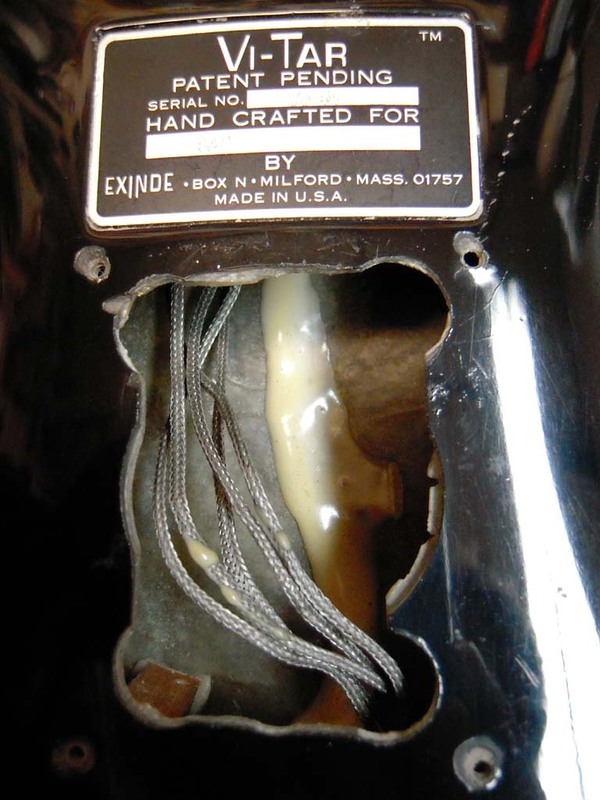 This site will hopefully be a resource for Vitar owners and players who are looking for information, parts, tips, etc. 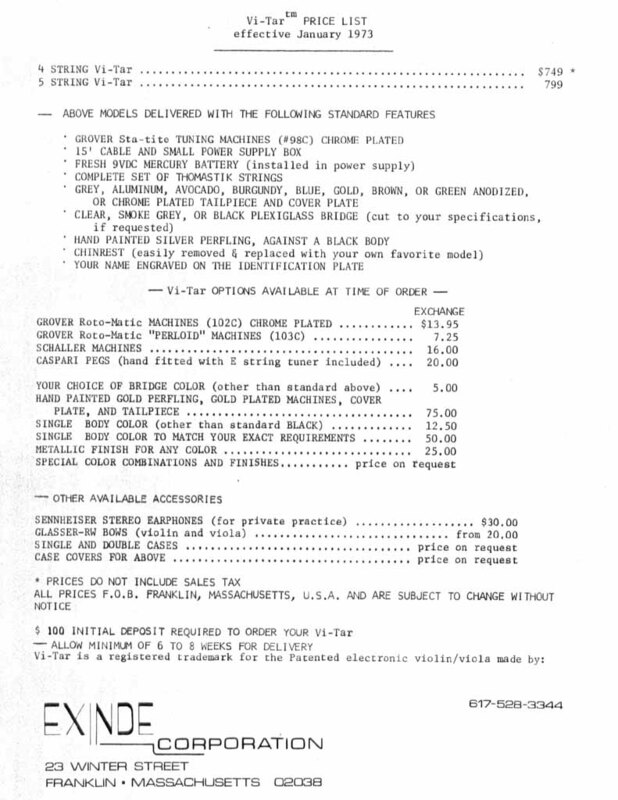 I have a little pile of manuals and brochures that I’ll add to the site when I remember where I put my scanner.